ON THIS DAY IN BOND HISTORY: In 1966, Sean Connery spent his first day shooting scenes of Little Nellie ‘in flight’ for You Only Live Twice. It is also the day I got to see James Bond’s 23rd outing in Sam Mendes’s Skyfall and I love, LOVE, loved it! 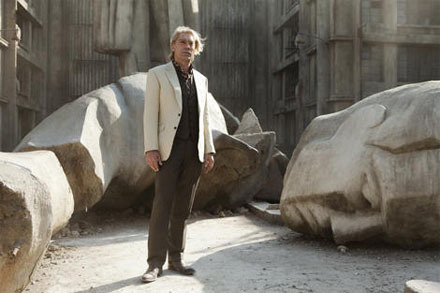 In a season of big disappointments like Prometheus and The Dark Knight Rises, Skyfall has come through for us and shines. It has more ties to the old Bond world than any of the newer Bond films yet it takes a fresh new direction that I for one welcome to the Bond mythos - which should please both long time Bond fans and the general audience. Sam Mendes you beauty! Thank you for bringing Bond home and specifically the streets of London, thank you for not buckling under the weight of expectation or more importantly going for cheap shots knowing that the Bond brand is money in the bank regardless of the quality of the film. 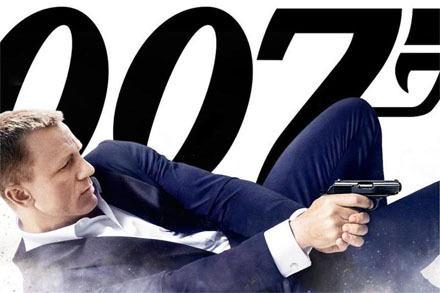 Thank you for matching the rich and astounding cinematography of Skyfall by injecting taste and art back into Bond elevating it past the cartoon pastiche it could have easily slid back into, and thank you for making an intelligent personal story worthy of the icon that Ian Fleming’s super spy has become. OK so before I get into it let me start by saying that Skyfall is so beautifully shot that Roger Deakins cinematography should get its own credit at the end of the film or a star on the walk of fame. I’m not just talking about let’s slap a couple of great shots in here and there to impress or be strung to together - the whole of Skyfall is beautifully composed, lit and framed. 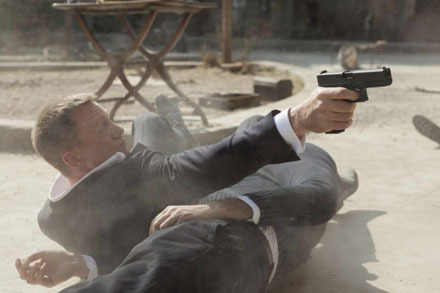 There are shots in Skyfall that will become part of the iconic Bond legacy moving forward. As an example there are scenes where Bond’s shadowy activities are entirely composed of light, shadow and reflections - it’s subtle enough to be missed but we are being told a lot about Bond and who he is and this comes masterfully fruition later on. The point I am making here is that the level of thought and detail that has gone into shooting Skyfall is far superior to not only previous Bond films but many films in general.This high level of quality is sustained across the board through all the production elements of Skyfall; the lighting, Dennis Gassner’s Production design, the great set design, characterisation, performances, story and the bulk of the dialogue. This also ties into another un-credited star of Skyfall the Style of Bond. Quite early on it becomes very apparent that the cinematography and lighting are not the only areas of Skyfall that have been planned in meticulous detail including Jany Temime costumes and sets are so something to behold they feel authentic but are compellingly cinematic - you will want to visit these exotic places. For years Christoper Nolan has successfully been plundering Bond's treasure chest Skyfall places Bond design back where it should be. If you were lucky enough to visit the Designing 007 – Fifty Years of Bond Style exhibition at the Barbican (which has sadly moved over to the US) Skyfall is a great example of how all the elements of Bond style come together very well. After Quantum of Solace for me the release of Skyfall was a watershed film - the one where I decided whether I continue to put the effort in to watch Bond in cinemas or just catch them serendipitously on TV in years to come and think either – “Why can’t they ever get it right?” or “Hey that’s not as bad as I though it would be, but imagine if…” Thankfully Skyfall exceeded my expectations and in terms of Bond experience it is way up there and whilst it has more nods and hooks into the past than any of the other new Bond films it is the most different and exciting Bond film in years. I would go so far as to say Skyfall is even better than Casino Royale. Of course Skyfall could not have happened without Casino Royale and would not be as good as it is without Casino Royale - but Skyfall is a superior film because Sam Mendes elevates the experience past the gritty action scenes (of which there are many) and the usual Bond formulaic approach, that all becomes almost superfluous to what we are watching as the characters are so engaging and interesting that we care enough about them that everything else is in the background. How many times can you say that about a Bond film? As much a it owes to Casino Royale’s reinvention of Bond, Skyfall is tied into Bonds history and moves in a completely different direction from the usual Bond formula and changes things irrevocably. Skyfall would have taken a lot more thought to put together, prior to Casino Royale we had no benchmark for what a new reinvigorated Bond could be on screen and as great as Casino Royale is, it feels like it is slightly held back by the Bond mythos and legacy - whereas Skyfall treads new ground whilst being respectful to Bonds legacy. Casino Royale was James Bond’s reintroduction but where could he go from there? Almost every element of Bondology in Skyfall is thought through and given a new facet giving Bond a new purpose and direction giving every scene that he charges in firing his gun new emphasis and drive. Sam Mendes also pares Skyfall back so that things happen on a much more personal level, that doesn’t mean that big things don’t happen it just means we are more engaged with them and are emotionally invested in their outcome and fallout. Finally Sam Mendes takes the spotlight off Bond and although a lot happens to him, he is back to being a character in a story rather than being the story, which makes his actions more effective and allows for a better dynamic across the narrative roll out. 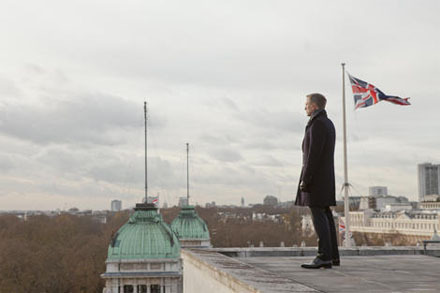 Skyfall starts immediately with the sounds of Istanbul fading in over the The Columbia logo‎ and we are straight in - following Eve (Naomie Harris) and James Bond (Daniel Craig) on a frenetically paced body slamming, vehicle crashing action chase. Forget the vertigo inducing up close camera work of Quantum this is more in the "unstoppable Bond" territory of Casino Royale with the stakes raised. Motorbikes in Bond have always given me a sense of foreboding as they feature in my least favourite Bond films but Skyfall changes that. We are then treated to Adele's Skyfall over the title sequence which is a great throwback to the golden age of Bond I'm glad Adele has finally done a Bond theme but I wish it was a little more energetic. 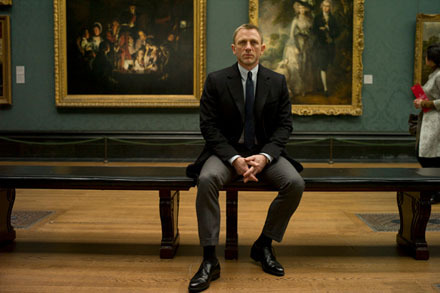 However Adele's Skyfall reaches the emotional themes that ties into the larger motif of Skyfall. The credit sequence itself is full of references to targets, Ian Fleming skulls, water and is dark. Following the formula introduced with Die Another Day and the staple of Daniel Craig's Bond the story continues from the pre credits scene. As a new threat arises that ties loosely into another theme of Skyfall - family and the bonds that bind us, leaving Bond to face a ratty brother. As I said earlier Roger Deakins cinematography and the lighting are absolutely brilliant and and I wouldn’t be surprised if Deakins is in the running for an Oscar. There are many more things to like about Skyfall, like Neil Purvis, Robert Wade and John Logan’s screenplay that brings the characters to the fore, the exploration of what binds them on an almost philosophical level. On the surface level it follows a simplistic plot line but it is delivered with meaning and complexity as well as great performances elevating it to a story of personalities. Another standout highlights for me was Javier Bardem’s villain Raoul Silva. Granted there are moments when the cyber elements of his terrorism seems ridiculous but he has more credible and realistic motivations than most villains - but non of that matters because Bardem takes all the Bond villain traits and gives them back to us in and astounding performance in which he doesn’t let the Bond villain define him – he defines the Bond villain, something that doesn’t happen often. Wisely Daniel Craig steps back and lets this lunatic shoot and eat everything up on screen. I don’t want to take anything away from other villains as they each have their special place but Javier Bardem is the best Bond villain in years. Another highlight for me was Bérénice Marlohe’s Bond lady Sévérine. You know that she is different from the outset because her name seemingly has the complete opposite meaning to the usual ridiculous double entendres. For years we have had to endure the ridiculous notion that woman will fall for Bond’s charms at the drop of a hat and whilst I understand that for many these are the elements that make Bond, well Bond for them. Those kinds of characters (the ones on a railway line that you already know the stops, even though you can’t understand the rational behind their motions) are not very compelling and weaken an entire plot. Aside from Eva Green’s Vesper Lynd which cracked the mould there haven’t been many Bond Ladies recently that are exceptional. Which brings me back to Bérénice Marlohe’s Sévérine, a character that is both alluring and tragically credible, her actions are completely inline with her alluded to back-story and her understated performance allows you to be swept away - Bérénice Marlohe is the best Bond Lady in years. What about Bond? Well I think most agree that Daniel Craig is a great James Bond, but as Quantum of Solace proves he needs the right vehicle to make for compelling viewing and Sam Mendes’s Skyfall is exactly that. Bond is not at the top of his game but is out in the field making the best of it this makes him vulnerable but no less dangerous or steel willed. He gives Bond purpose and depth beyond his steely stare. When he is not in action mode he is also genuinely entertaining for the most part with his dead pan delivery of his one liners cracking the audience up. 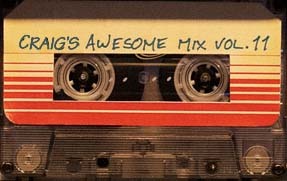 There are still some cheesy bits but these are few and far between. 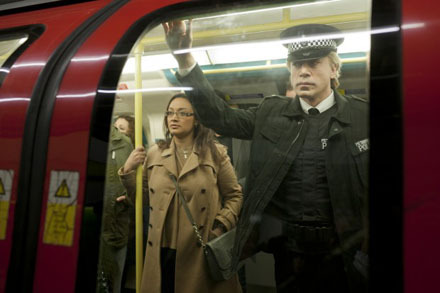 Something else that I really appreciated was Sam Mendes’s approach to product placement beyond the consumerism. I liked that Sam Mendes balances this by injecting some taste back into the Bond mix and whilst art has always played a role in Bond Mendes returns to this with some marvelous references to the art world. Amedeo Modigliani’s Woman with a Fan becomes the centre piece of a scene that takes place in Severine’s Shanghai hotel room, in a clever touch Modigliani’s Woman with a Fan was in fact stolen from the Paris Museum of Modern Art and was suspected to be heading towards China’s growing black art markets, this may also be a reference to former Bond villain Dr. Julius No or Dr. No. whose lair was adorned with a stolen portrait of The Duke of Wellington by Francisco Goya. In another scene James Bond meets the new Q (I don’t think this is a spoiler as the marketing clearly plays this up) in the National Portrait Gallery on Trafalgar Square in front of J. M. W. Turner's The Fighting Temeraire. 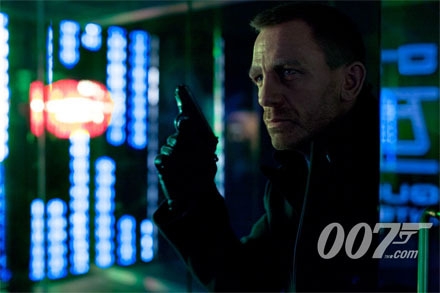 An interpretation of which is one of the themes weaved into the narrative of Skyfall as well as a device to frame Bond’s blunt character which may be setting the blocks for his longer arc across this James Bond series. There is a touch of irony here as Ian Fleming's childhood home on Cheyne Walk once belonged to Turner. In another crucial scene M makes reference to Ulysses a poem by Lord Alfred Tennyson which captures M’s resolve and position it is no coincidence although the poem is about will and resilience Tennyson was inspired by Dante’s Inferno. Again Ulysses touches on the larger themes of Skyfall. A surprising theme that runs through Skyfall which has deeper implications across the film is one that I assumed ended with the Casino Royale reboot and the younger Daniel Craig coming in. 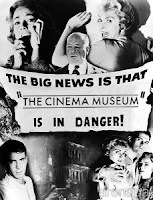 I’m referring to “the whole cold war relic/dinosaur” which all comes back to bite our characters to surprising effect making for great viewing. How does Skyfall compare to other Bond films? Well that is not an easy question to answer as few characters have the wealth of a 50 year legacy behind them. Every generation has their favourite Bond, Bond film or top 5 Bond films and an almost unshakable belief that their Bond favourites are the best Bond but the magic of Skyfall is that it ties the old Bond world into the new Bond whilst playing out in an engaging game of cat and mouse. All in all I absolutely loved Skyfall it had great moments tied into Bond’s history, surprises, laughs, great lairs, spectacular locations, explosions, camaraderie, gritty action, lots of emotion and that thing which I love most about bond films James Bond’s exemplary fortitude. We close with the James Bond gun barrel walk and the promise that James Bond will be back and I hope Sam Mendes comes with him.